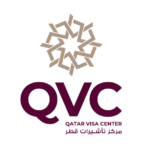 Price of Super petrol and Premium petrol (Gasoline) jumped up by 25 dirhams. Also, the price of diesel is up by 10 dirhams. 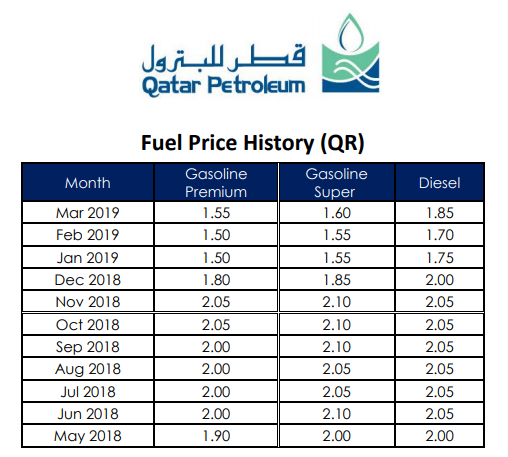 An announcement on Qatar Petroleum (QP) website confirms the hike in Gasoline (Petrol) and Diesel prices for the month of Apr 2019. In the month of March, there was an increase in Gasoline and Diesel prices. 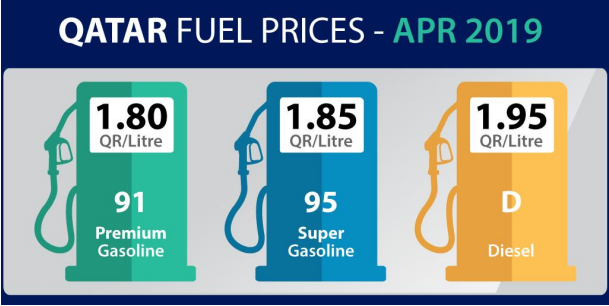 Following the trend, the fuel prices in April also see an upward trend.